I'm not a big Bon Jovi fan, but "Living On A Prayer " is one song I do like. It's very well produced (by the late Bruce Fairbairn) and the vocals are killer. Living On A Prayer was the 2nd single from the band's breakout album Slippery When Wet, and went on to be a #1 hit world-wide. Here are a few things to listen for from when the song kicks in at about 40 seconds. 1) The keyboards that can be heard provide a nice window to the dynamics of the song. Listen how the keys build with a big chord and left hand at the end of each half-phrase, and then how it pedals on the B-section. Then listen how during the 2nd verse a little string line appears on top of the chords. 2) Say what you want about Jon Bon Jovi, but he does have some formidable pipes. Especially listen to the key modulation at 3:24, although it does sound like the vocals were copy and pasted in the outro. 3) As reader Justin Freund points out, rumor has it that the outro was speeded up so Jon could hit those high notes, which sounds perfectly plausible by the fact that each chorus of the outro jumps a little bit at the beginning. This is what would happen if it were a tiny bit shorter in length because of the speed change (don't forget this was recorded back in the days of tape before time compression in a DAW). 4) Listen how the vocal develops. The lead vocal is by itself in the verse, a harmony is added during the B section, and then doubled during the chorus. 5) The vocal is pretty drenched in reverb. Although it sounds pretty good, you probably wouldn't find that happening if the song was done today, since the trend is for everything to be drier. There was a great post on the We All Make Music blog the other day called "What Does YOUR Set Look Like" regarding how 4 major acts developed their sets. Each of these acts did it differently but there were some common traits, like the place in the set where each peaked. 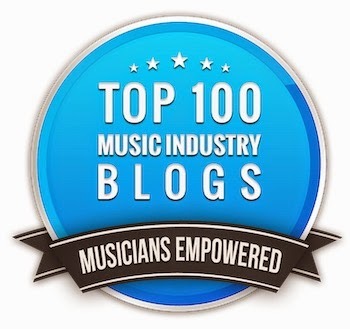 While you definitely should read the article, I thought that it dovetailed nicely into an excerpt from my band improvement book "How To Make Your Band Sound Great" on the same subject. For some artists and bands the art of set dynamics seems to be inherent, while some never get the hand of it. For those of you who don't have your audience begging for more at the end of your set, try what's outlined below. Like we said in Chapter 8, dynamics also applies to a set or show as well. You want to make sure that the show builds in intensity and peaks at the right time. It might start off with a couple of songs that are a 7 or 8 in intensity with a 10 being the most intense, back off to a ballad or something acoustic in the middle of the set that’s a 3 or 4, then end the set with an 8 or 10. Once again, tension and release at work. As you can see, the songs are set up so all changes are smooth and there’s no extra time taken between songs. Also, alternative songs are predetermined (called “audibles” just like in football) and everyone knows what’s going to happen in the set. If you give some thought to your show or set and practice it at rehearsal so everything is smooth, you’ll be surprised just how professional you will come off. Another thing - the old showbiz adage of “always leave them wanting more” really works. You’re a lot better off to leave too early than too late, so sometimes just a single encore song (or none at all) is really the best. Just before AES is as good a time as any for this subject. 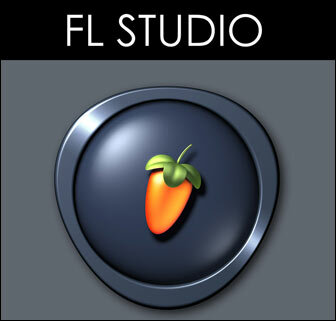 Digital Music Doctor has released a list of the 15 most popular recording software products. This is not based on sales, but on search activity on Google, Yahoo, AOL and MSN during the last quarter . It's no surprise that Pro Tools is number 1, since it's in almost every major recording and post facility and taught in every school. 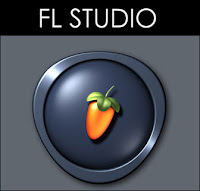 FL Studio, at number 2, is a surprise however, although it shouldn't be. The software has a full feature list for it's Signature model for only $299 retail, and the Express edition can be had for as little as $49. Here are the 15 that make up the list. Personally, I've gone from Digital Performer to Nuendo before finally happily settling in with Pro Tools. It's almost impossible to do any major recording work these days without having a handle on it. That being said, almost every package on this list has improved by leaps and bounds, and as a result, is capable of some excellent performance in the right hands. Ozzie Osbourne gets more love as a celebrity than as a vocalist, but a listen to the isolated vocals from "Bark At The Moon" from his Bark At The Moon album proves that Oz has a better voice than ever given credit for. Here are some things to listen for. 1) The vocals are very well produced in that the vocal is pretty much in tune (there are a few places where he drifts out though), and the double is very recorded very close to the lead. 2) The sound of the vocal is pretty good. It's consistent without being too compressed, and has a nice medium reverb on it. 3) The keyboards that you hear along with the vocals are a bit of a surprise as they're pretty much buried in the final mix of the track. As with many rock tracks, the keyboards are there for support and add a bit of glue to the track that you can't get with distorted guitars. 4) It sounds like isolated vocals were obtained using the "flip the phase on the one of the stereo sides" trick since you hear so many other instruments along with the vocals. Staying with our isolated vocal theme from last week, have a listen to old The Boston hit "More Than A Feeling" from Boston's self-titled first album. Boston's late singer Brad Delp was one of rock's most unheralded talents, with a powerful voice with an impressive range, which is one of the reasons that I'd like to expose this to those that maybe haven't appreciated him in the past. Give the video some time, since it's silent until about 22 seconds in. 1) Delp's vocals are doubled, but not that closely. This is another case where the vocals would have been fixed if done today. 2) The reverb is rather plain, and has a bit of a "boing" to it that you can hear on the fade at :43. It sounds like an EMT plate that hasn't been tuned lately. 3) The sound of the vocal isn't exactly what I'd call "hi-fi." It's a bit cloudy and distorted, but then again, the monitoring wasn't that great in the mid-70s for anyone to tell.